True Happiness lies in immersing yourself in what you Love doing! To be truly happy, just immerse yourself in what you love doing! Then, and only then, will your work become your play and your prayer! We are both responsible and accountable for our happiness in Life! We have too often lived our lives the way others wanted us to live them. Over the years, conditioned by societal norms and family expectations, we have just grown biologically. For the same reasons, to be fair, we have worked towards professional and financial security. And have raised families because it was the logical thing to do once we got out of academic pursuits and became employed! Yet, how many of us are doing what we love doing? – Are you happy doing what you are doing for a living now? – Are you living or are you earning a living? what would you have liked to be living for? These answers you give yourself, honestly, are the only ones that can change your Life! Because when you know, and you accept, what can make you truly happy__that’s half the battle won. Happiness cannot be pursued. It has to be found. And you will find it, here and now, if you remove all the conditions in your Life that are making you unhappy. When those conditions disappear, happiness appears. It is as simple as that! But how do you leave a lucrative job, that comforts you with security, gives you a societal edge and take up something you love, no doubt, but is hardly likely to reward you financially, in the beginning at least? This is where intelligent living comes in. You start a journey of a thousand miles, by taking the first step. And that first step is to invest just 5 minutes a day doing what you love doing. One of the principal reasons people don’t switch to doing what they love doing is because they are too caught up doing things all day that they loathe doing! But 5 minutes is not a bad deal. However busy you are running your rat race, you can take a 5-minute-break and that shouldn’t hurt anyone, least of all you. In those 5 minutes, do what you love doing __ reading, writing, painting, composing music, researching, cooking, whatever! You will discover a rare peace in you in those 5 precious minutes. You will want those 5 minutes to never end. So, extend the tenure of that daily activity by 5 more minutes. Keep feeling joyful and keep extending the tenure as you graduate through this experience and exercise! 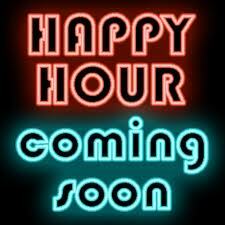 Soon, in about a quarter, you will have created a daily window of your own ‘Happy Hour’! Imagine from being frustrated with your Life, bemoaning the lack of joy in what you were doing, you have a full ‘Happy Hour’ daily to do what you love doing! And that’s 30 ‘Happy Hours’ in a month. If you are an artist, you could complete a masterpiece in that time. And if you are a writer you could perhaps complete a chapter of your book in that time! If you are smart, as all people usually are, you may look at how many ‘Happy Hours’, over how many years, will you need to make that career switch from being a high-paid unhappy professional to being a well-earning, happy individual. And once you know your math, you simply go after the opportunity! Even as I was thinking about this important link between what we do and happiness, I chanced upon these simple, yet enlightening, perspectives. Think about it. If you are not having a great time doing what you are doing, take the 5 minute daily plunge and move toward creating your own ‘Happy Hours’. Because only you are responsible__and accountable__for your happiness! The truth also is that nobody else can ever be happy for you! Author AVIS ViswanathanPosted on January 16, 2013 March 14, 2016 Categories Arnold Schwarzenegger, David McCullough, Earning a Living, Happiness, http://schemas.google.com/blogger/2008/kind#post, Intelligent Living, John Adams, Living, Loving, Pursuit of Happiness, Retiring, Truman, Unhappiness, WorkLeave a comment on True Happiness lies in immersing yourself in what you Love doing!